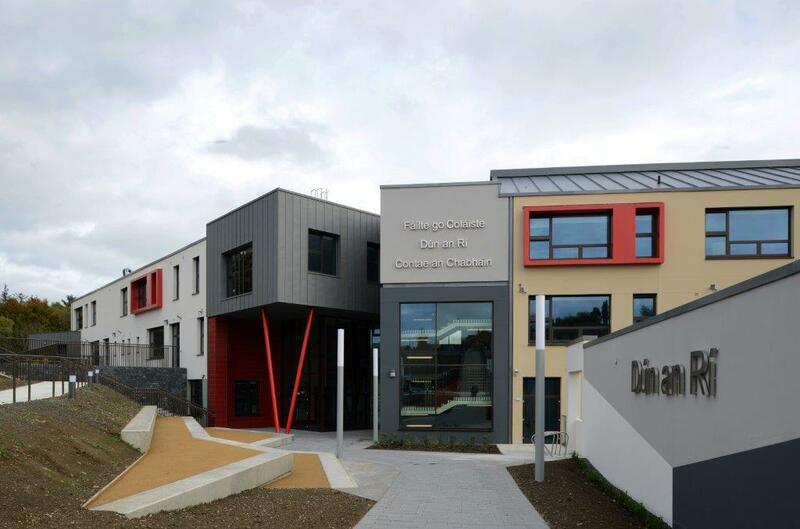 The project comprised of the construction of a new 400 pupil Post Primary School and Sports Hall at the centre of Kingscourt, Co. Cavan. 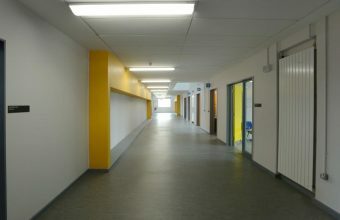 The new build is approximately 6,000 sq m and comprises of 15 classrooms, four specialist rooms – Music, Multimedia Textiles, design / Communications / Technical Graphics, Art and Craft room – a Home Economics room, two Construction and Engineering rooms, one Technological preparation area, library, guidance facilities and offices and a dining facility. The Special Education Needs suite comprises of central activities base, two base classrooms with associated withdrawal rooms, multi-sensory room, para-educational room, practical activity room and a daily living skills area. 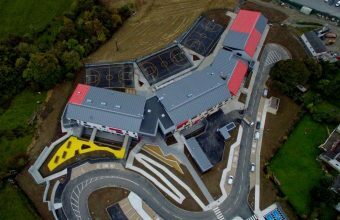 The project was on a challenging steeply sloping site (circa 10metres from main road) to school entrance and was delivered on time and on budget. 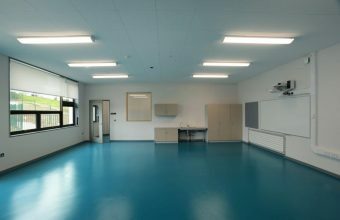 Despite strict and tight DoES budgets with a limited area schedule, good quality design with excellent social areas and break out spaces were achieved. 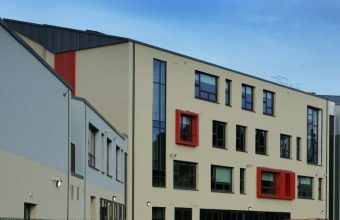 Equal consideration was given to the exterior spaces as those inside resulting in a great environment and range of areas for the pupils to relax, learn, play and unwind. Despite the significant level differences on the site, the final solution is universally accessible throughout.